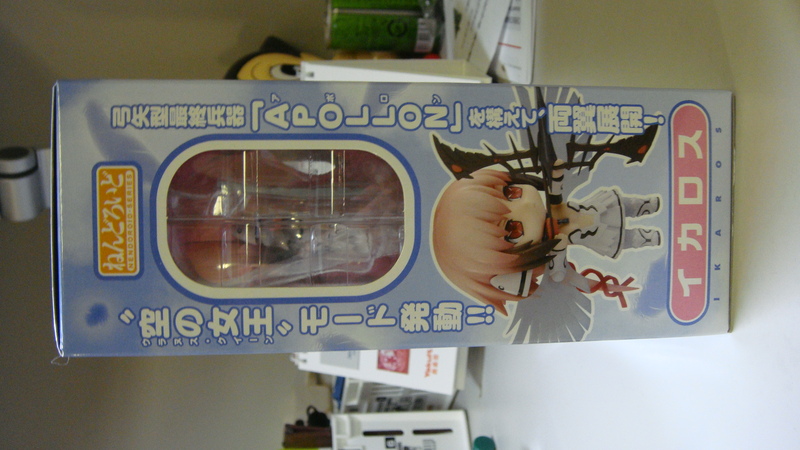 Since this is my very first Nendroid, I will sound very “noob” or surprised at some aspects of the figure. Okay, so let’s start with some of the basics of a figure review. 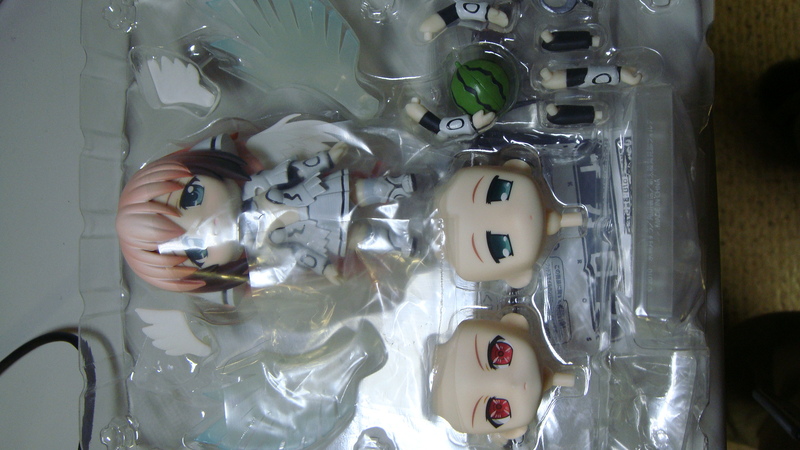 As you guys know, Ikaros is from the famous anime, Sora no Otoshimono. Being the extreme moeblob she was during the anime, I felt I just had to get her. It was without a doubt that when this first came out, it was love at first sight. 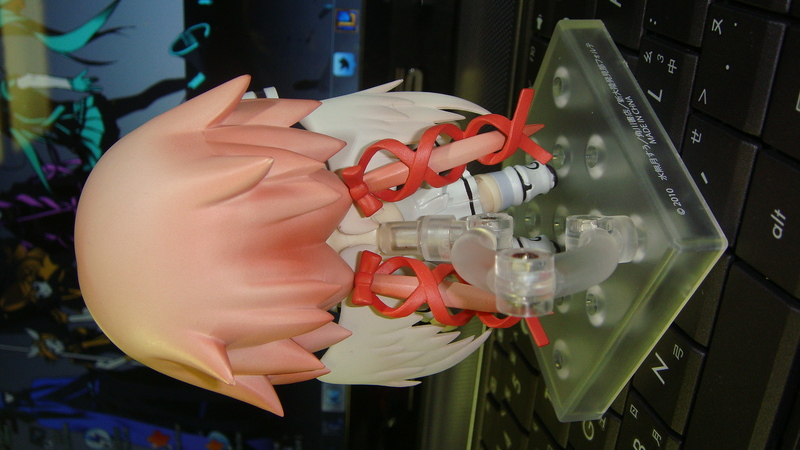 So anyways, that’s pretty much why I bought Ikaros. 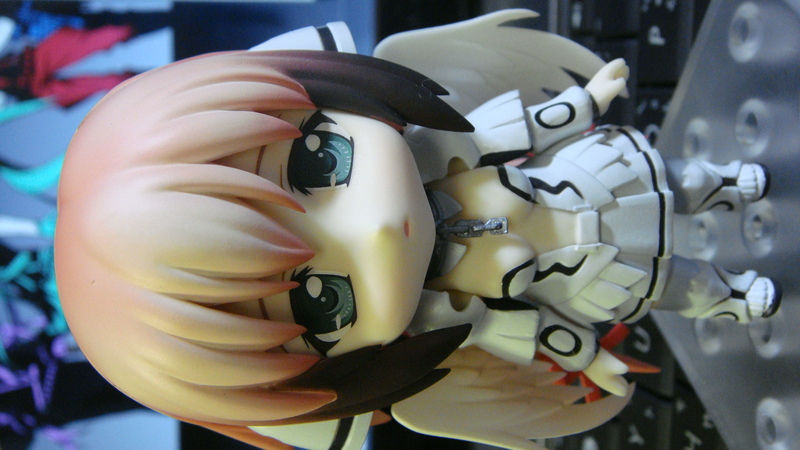 I particularly love the amount of details that are payed to this Ikaros Nendroid. Everything from the hair tone, painting in little areas, and attention/quality paid to the print on the eyes. In fact, I’m completely mesmerized by how well the hair is done. I mean, seriously, how do you even mold plastics into such precise tone-fading? Sorry for the flash, but plastic really hates my camera. 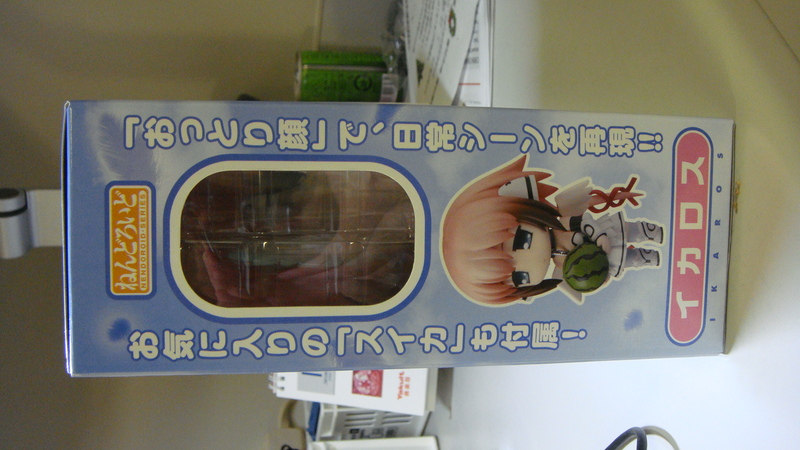 Aside from the standard melancholic look to Ikaros, the Nendroid also comes with her expression when she held a watermelon (the “totally satisfied” look) in the anime. 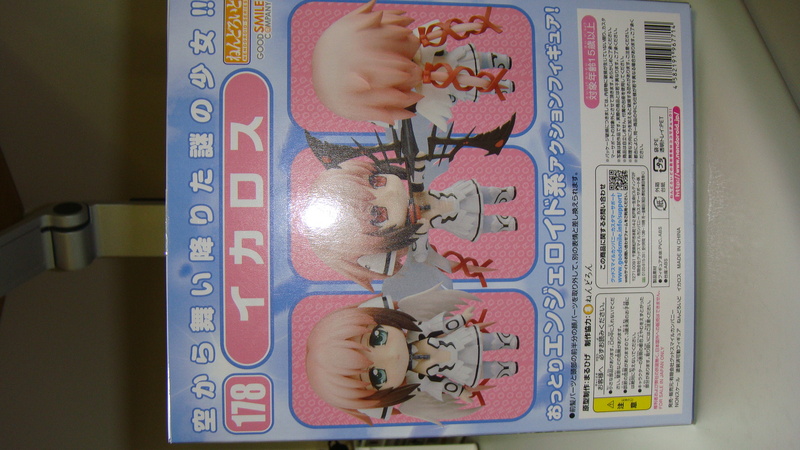 In addition, Ikaros also comes with her “Uranus Queen” mode with the robotic-red iris and bow/arrow. Although it sounds all good and what not, I’m not without complaint. 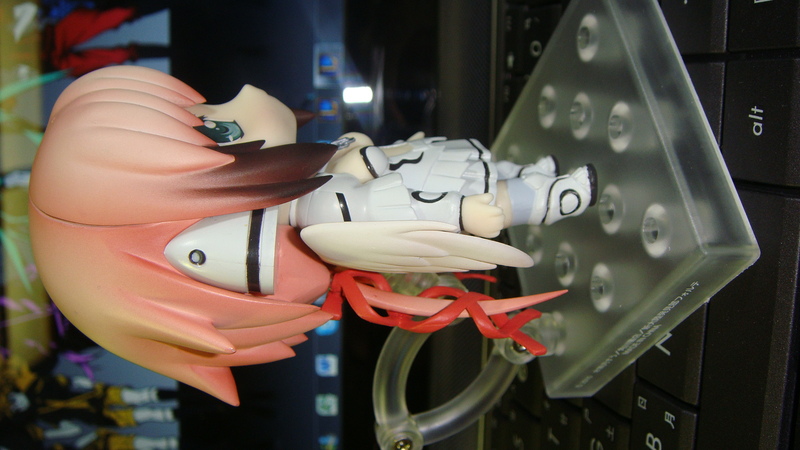 For example, the basic wings that come with Ikaros don’t stay in position in a while, and also, her back is very hard to attach to the base-connector. 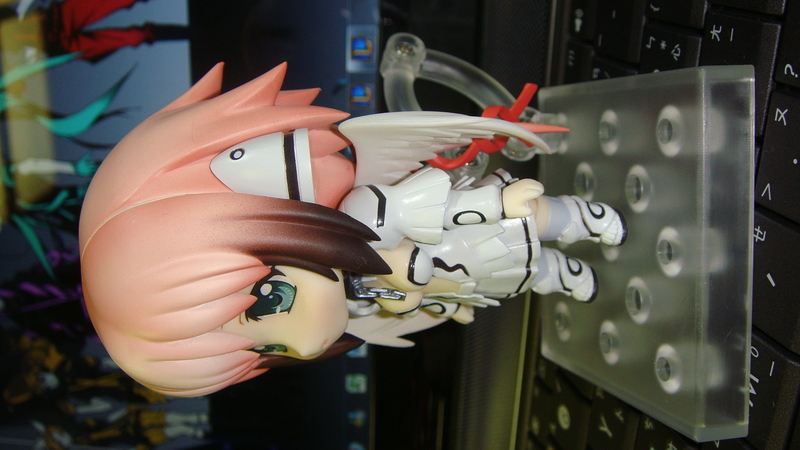 Thus, Ikaros tends to fall off the base at the slightest nudge or tilt. In addition, her “ponytails” seem to fall off ridiculously easy. I couldn’t believe that, each time I tried to adjust the wings (so they didn’t look like they were broken) her ponytails would detach. It was more of a peeve than disappointment that they didn’t stick on really well, but I guess that’s what you get for trying to buy a miniature figure? So the final verdict from this Nendroid is that I’m not going to shy away from purchasing more Nendroids; however, I am going to have to watch out for the more sophisticated ones. In fact, the next Nendroid that I’ve preordered is the Haruka Morishima Nendroid, which I do hope will be a bit less “clunky”? 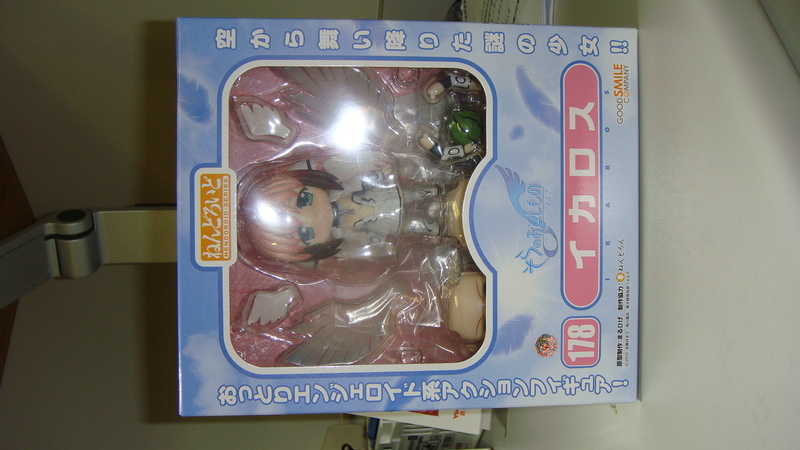 I’ll be looking forward to getting my next Nendroid! Every angle...she looks dayum fine. Reblogged this on Atarashii Shinryakusha.